Under a *nix operating system, having multiple partitions on a USB drive isn’t rocket science, it just works. Dalam kasus saya, my USB drive has two partitions because the first partition is a bootable Arch Linux installer. I have Jendela on a desktop at home – mostly for gaming – and many of my colleagues use it too. Since Windows doesn’t do very well with non-Windows partitions I figured I could create a FAT32 partition on the memory stick after the bootable Arch Linux partition. FAT32 is almost ubiquitous and is usable on every common desktop operating system in the world. 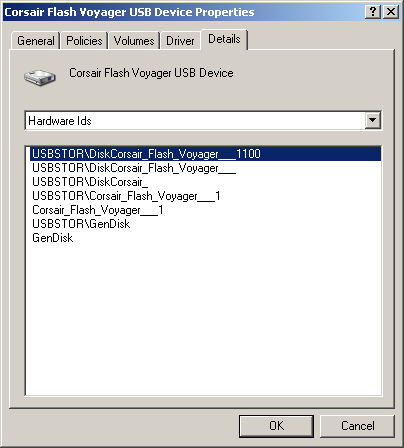 The trick to getting it working is to fool Windows into thinking the device is tidak a regular USB memory stick but perhaps a solid-state hard disk which happens to be connected via USB. Yes I know, this is seriously stupid that Windows behaves this way. A solid-state hard disk is just a whopping big (and fast) memory stick after all! 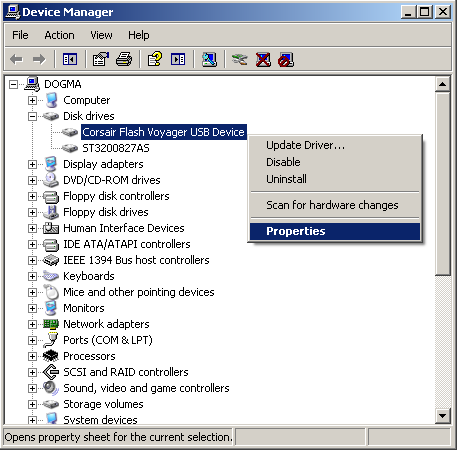 Save the file in notepad and go back to the device’s property dialog window. Click the “Driver” tab and click the [Update Driver…] button. In the windows that pop up, select “Tidak, not this time”; [Next] -> “Install from a list or a specific location (Advanced)”; [Next] -> “Don’t search. I will choose the driver to install.”; [Next] -> [Have Disk…]. 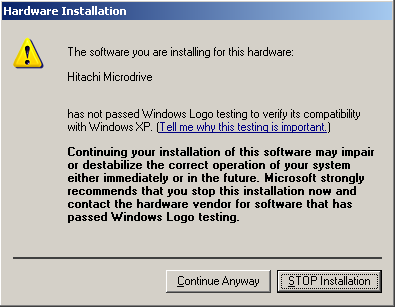 I came across 2 bugs on Windows Server 2003 that are also relevant to Windows XP. 1. Internet Explorer‘s Desktop icon is disabled. When you double-click on the icon, expecting IE to launch, it simply produces an additional shortcut. Subsequent double-clicks again produce more shortcuts. It is possible, as a workaround, to launch IE from the Start Menu. My first guess was that malware was attempting to make me click on these new shortcuts where the new shortcuts opened further malware. This idea quickly faded though since, if malware were to have the system privileges to produce these symptoms, it wouldn’t need me to provide further privileges. I eventually found di sini what the actual problem was. Dalam kasus saya, the cause was related to IE6 being outdated. If a Windows registry entry is named “LegacyDisable” and is added to specific types of registry keys, it lets Windows know that the key is obsolete and that it has only been left behind for backwards-compatibility. Dalam hal ini, it disabled the intended primary “verb” function (the double-click) of the shortcut: launching IE. To fix, you can either update to the latest version of IE or fix the registry entry directly. If you experience this issue even with the latest version of IE then the registry value is the only way I know how to fix it. 2. When trying to browse to any site from within IE, IE remains dormant while Firefox is launched. Firefox then loads the page which was originally requested in IE. While many might most of the time consider this to be a triumph [insert childish laughter here], the site I wanted to browse to was the Windows Updates site which, unfortunately, does not work when using Firefox. The same would apply to other sites which depend on the web browser supporting ActiveX. 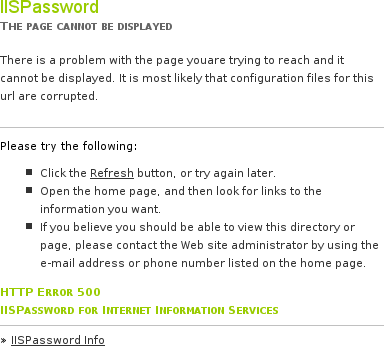 I very recently found a problem with a client’s web site due to a .htaccess berkas. The site was hosted on a Jendela server running IIS using IISPassword, which makes use of .htaccess files for its settings. I’d never really had the need to connect to a VPN until this weekend. After connecting, I found that my Internet access was rather non-functional except to the VPN in question. A colleague happened to be on hand (he’d given me the access details in the first place) and he quickly suggested this workaround. Today, a client had the same issue. Perhaps this problem is more common than I first thought. 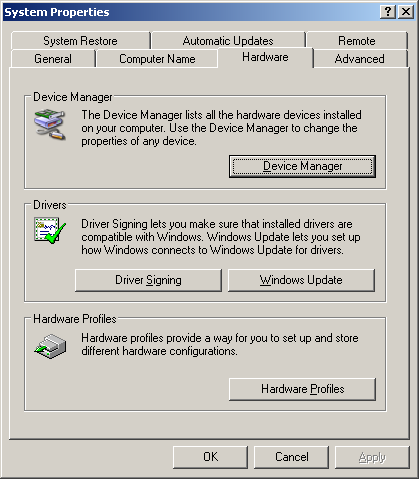 When connecting to the VPN, Windows updates the default gateway on your desktop to reflect the VPN’s settings. Most likely, however, you only need to access specific subnets on the VPN and you want all unrelated traffic to use your “tua” settings. It turns out that its a simple checkbox that needs to be unchecked. The jist (sp.??) of finding the setting: Right-click the VPN in Network Connections -> Properties -> Internet Protocol (TCP/IP); [Properties] ; [Advanced], and uncheck the “[ ] Use default gateway on remote network”. Then click the usual OK/Apply/Yes-of-course-your-dialogue-ness (all the while reading and absorbing any warnings appropriately) until you’re back to your Network Connections window. Right-click the VPN connection and disable / re-connect. You should be able to confirm that the Default Gateway does not change by running the command-line app ipconfig before and after enabling the VPN connection. Look specifically for the line labelled “Default Gateway”. It turns out that a possible reason for this setting being the default setting is for security. If your desktop happens to be compromised or inadvertently routing traffic, connecting to the VPN might expose the supposedly “private” network to the Internet. Copy the text into an appropriately-named file in your ~/bin/ folder. Then chmod it to be executable and link the second alias. copy rd’s content from di sini.